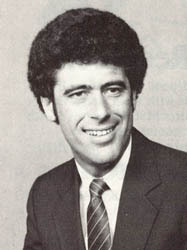 Ivan Sutherland joined Caltech in 1974 as founding Chair of the new Computer Science Department there. 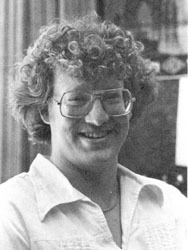 Famous for his pioneering work in computer graphics, Ivan was excited about the potential of microelectronics. He recruited Carver Mead to join his new department, bringing in Mead’s expertise in device physics and circuit design and his many connections in the semiconductor industry. During ‘75 Ivan Sutherland, Carver Mead and Tom Everhart (then chair of EECS at U.C. Berkeley) conducted a major ARPA study of the basic limitations of microelectronics fabrication. 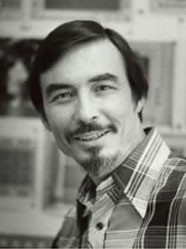 Their ARPA report (published in ‘76) urgently recommended research into the system design implications of “very-large-scale integrated circuits” in light of coming advances in scaling – pointing out that no methods existed for coping with such complexity and no approaches then underway held promise of solutions . That same year, Ivan’s brother Bert Sutherland joined Xerox PARC as manager of the Systems Sciences Laboratory (where I worked). Bert introduced me to Ivan and Carver, and I began studying their recent investigations – having no idea what adventures lay ahead. In January 1976 Ivan wrote the attached letter to his brother Bert proposing that PARC and Caltech work together to attack the system complexity problem – a letter that has since proven to be historic . 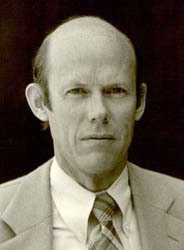 Soon afterwards, the Sutherland brothers established a formal collaboration between research teams at PARC (Lynn Conway and Douglas Fairbairn) and Caltech (Carver Mead, Jim Rowson, Dave Johannsen). The mission: explore and develop design methods and tools that would enable complex digital system architectures to be more readily implemented in silicon than in the past – applying the emerging personal computing technology at PARC to the task. The result: the VLSI revolution [3, 4, 5]. Decades later while compiling “The VLSI Archive”, I stumbled across a copy of Ivan’s letter in amongst the many documents and papers I’d saved from those days. The letter is now posted in that Archive [6, 7]. Ivan Sutherland, Carver Mead and Thomas E. Everhart, “Basic Limitations in Microcircuit Fabrication Technology”, ARPA Report R-1956-ARPA, Published by Rand Corporation, Santa Monica, CA, November 1976. 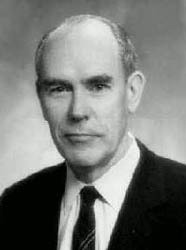 Ivan Sutherland, “The Problem: How to build digital electronic circuits from now to 1985”, Letter to W. R. Sutherland describing challenges presented by advances in microelectronics and proposing the Xerox-PARC/Caltech collaboration, January 26, 1976. William R. (Bert) Sutherland, “Faith, Funds, & Fate: Prerequisites for the development and transfer of new technology”, Presentation at the celebration of the 40th anniversary of USC-ISI, Marina del Rey, California, April 26, 2012. Chuck House, “A Paradigm Shift Was Happening All Around Us”, IEEE Solid State Circuits Magazine, VOL. 4, NO. 4, FALL 2012, pp. 32-35. Lynn Conway, “Reminiscences of the VLSI Revolution: How a series of failures triggered a paradigm shift in digital design”, IEEE Solid State Circuits Magazine, VOL. 4, NO. 4, FALL 2012, pp. 8-31. 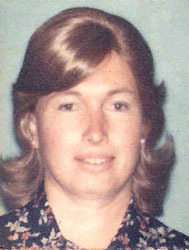 Lynn Conway, "The VLSI Archive", Electronic Design News, June 3, 2009. Lynn Conway, Ed., “The VLSI Archive: An online archive of documents and artifacts from the Mead-Conway VLSI design revolution”, lynnconway.com.